About a year ago a group known as Anonymous caused fear when they decided to post a video in which they told the Zetas that they would expose the names of some of their members because they had kidnapped on of the Anonymous members. This caused fear because many believe that this would cause more violence among the cartels. There was fear among the media because they were afraid to talk about these violent matters in fear that they would retaliate against them. This leads into what just took place a few days ago. 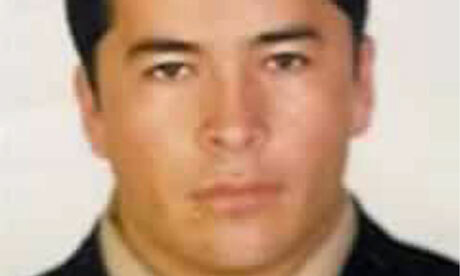 The one who is believed to be the leader of the Zetas drug cartel, Heriberto Lazcano, was killed. Authorities said that he was killed by marines and the navy confirmed that the fingerprints were of Lazcanos. “ Photographs of the body were taken before it was handed over to local authorities and transported to a funeral parlour – from where it was seized by gunmen and driven away in a hijacked hearse early on Monday morning”(BBC News). He was taken but killed which is something that Calderon feels better about in terms of the violence that took place. What matters now is the fact that the body was taken because there was lack of coordination between authorities. If the funeral parlour was protected by a large amount of authorities then maybe the body would not have been taken. Lazcano was tied to many deaths and violent matters. “The US had put up a $5m (£3.1m) reward and Mexico another $2.3m for information leading to the drug boss’s capture” (BBC News). One of the main questions now is will Mexico be able to get the body back? Will the fact that Lazcano is dead help deteriorate the amount of terror Los Zetas cause in Mexico?